In the later years of life, when family members cannot provide amenable conditions for the elders in the family, aged care facilities come to the rescue. 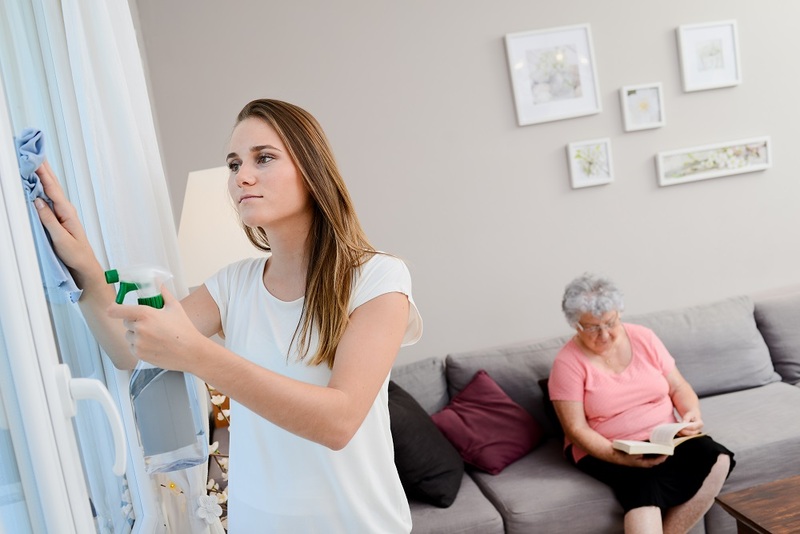 These facilities provide substantial provisions regarding aged care cleaning for the people in their later period of life and make sure that they are safe and comfortable. These facilities have certain qualified nurses who are adept in their job and take care of all the necessities for these aged persons. You need experienced and caring individuals to take care of aged people. At the same time, when they are not in home, you should make certain arrangements so that the aged can do the basic necessary things by themselves. Taking care of aged and elderly persons requires a lot of hard work. In any medical situation, the first requirement is keeping the environment clean to prevent any kind of infection or spread of diseases. There are many courses, which are implemented to teach candidates for aged care how to go along with their work. Right from giving meals to the aged people to taking care of their emergency medicines, they need to do lots of work. Germs enter the bodies through contaminated air, water and the surrounding environment. Regular checking of the ventilation systems and the water supplied for these senior people helps to maintain a clean and secure environment. All the areas that are regularly touched or meet different people should be cleaned or sprayed with disinfectants to prevent outbreak of diseases. Moreover, if someone is diagnosed with a certain disease that is contagious, then that person should be kept separated till he/she gets better. Also, glasses, trays, gloves, tissues, all these products which are used by all should be kept separated or disinfected after use. The staff members should be knowledgeable and competent to handle any situation with ease. They should know how to clean and dispose of the contaminated materials as and when required. They should be vigilant and focused on their work, providing an affectionate and caring environment for the patients. It is also important that the aged care professionals take care of their stress. They should not be stressed out and they should also be given medical comfort. Certain policies should be undertaken stating the frequency of cleaning of any medical instruments or other surfaces. The areas should be divided into high touch and low touch areas according to the number of times that those surfaces encounter different persons. For example, railings, doorknobs, telephones etc which can be accessed by numerous people are high touch surfaces. All the staff should maintain a certain level of personal hygiene to keep the environment as clean as possible. All should follow hand hygiene and a cleaning sequence should be maintained for best results. For instance, cleaning should be carried out from least contaminated surface to the one that would come under maximum contamination or high touch surface. Many of the diseases occur due to dirty dishes. All utensils used for food and cooking purposes should be carefully washed after used. Dirty water should not encounter these items. Knives, cutlery, spoons should be thoroughly washed after each meal without leaving any stains behind. The patients should always be supplied with clean clothes and bed sheets. All the laundry should be thoroughly washed and cleaned with effective detergents to keep them fresh and clean always. All these points for aged care cleaning, if followed, could really help to maintain a clean and safe environment for the elderly people.